Grunge Brush Sign and Symbol Pack - Free Photoshop Brushes at Brusheezy! Check out the new Grunge Brush Sign and Symbol Pack! Included in this pack are plus and minus sign grunge brush files, splatter grunge brush files, and so much more. 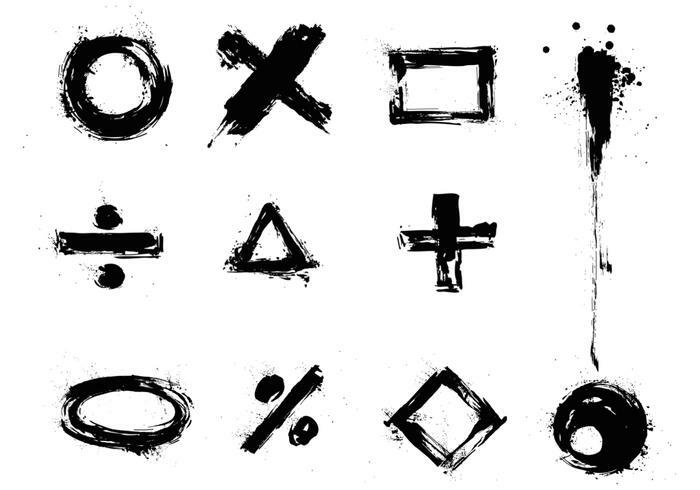 Download this grunge brush sign and symbol pack to use either personally or commercially! Head over to Vecteezy for the grunge vector pack and download the <a href="http://www.vecteezy.com/signs-symbols/42154-grunge-vector-sign-and-symbol-pack/premium">Grunge Vector Sign and Symbol Pack</a>!